Strong bases to increase the energy of your green living space. 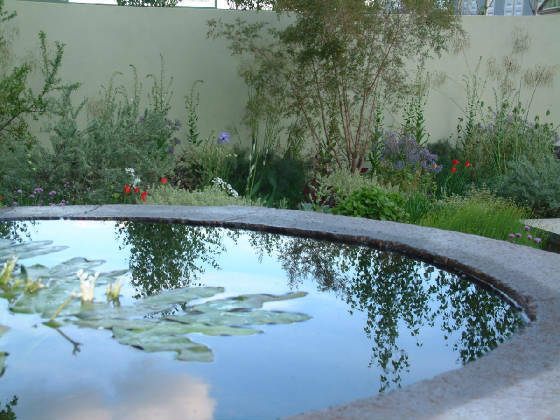 “Essential and natural element of our life, water is as a vital energy for our body as it is for our garden. By his intense and dynamic energy, it creates a fluidity, a movement generating power and strength to the garden. The water is in essence Yin, it is symbolically associated with femininity and fertility. When it evolves gently, it possesses a more Yang energy, bringing a beautiful prosperity in its path. “The Chi, one of the first known principles; this healthy energy flow and invisible to the naked eye is well received by our body sensors. It is necessary for our good physical balance. Ideally Chi will be spread without obstacles and will go through us without being ‘hurt’ to keep an excellent vibrational quality. The positioning choice of the entrance, paths, structures, trees and plants, water and stones… will be based on the landscaped area according to Feng-Shui traditional principles. The goal is to find the original Chi quality, bringing happiness and well-being. Applying to any garden style. Concerning the energy sourced from tellurism, it is a different story: the one of the direct link between the earth and your garden face. This underground Chi will regulate with the establishment of raised stones. Fineness of Feng-Shui Garden Art! 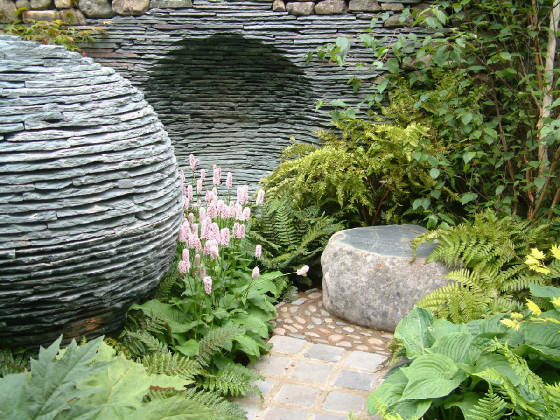 “Put a stone in a garden, a very beautiful work of major importance. Each stone must be strategically placed on a positive energy point corresponding to a health Chi. Garden of raised stones as an entity wants to imitate beauty and perfection of nature.